Once upon a time, I was fluent enough in French I would dream in it instead of English and once even caught myself speaking French in my sleep. Over the years, my passion for the language hasn’t waned, but without regular use much of it faded from memory until my dreams became more about TRYING to speak French than being successful. Pure. Torture. Especially for a language junkie like me – besides French, I also speak a bit of Russian and I’m trying to learn German. But taking language classes or buying language CDs/software are all hella expensive and feel awkward and time consuming. 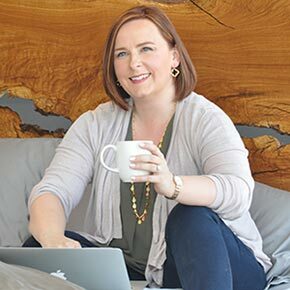 So how exactly is a person supposed to keep themselves in practice without breaking the bank or a major time commitment? Enter Duolingo. For several years now, I’ve been using this amazing FREE app to brush up and learn even more about the language than I had learned in college. Duolingo is available as a website and apps for Android, Apple and MS Windows devices and is a great way to learn a new language or brush up on rusty skills. There are over 1.2 billion people learning a language and the majority are doing so to gain access to better opportunities. Unfortunately, learning a language is expensive and inaccessible to most. 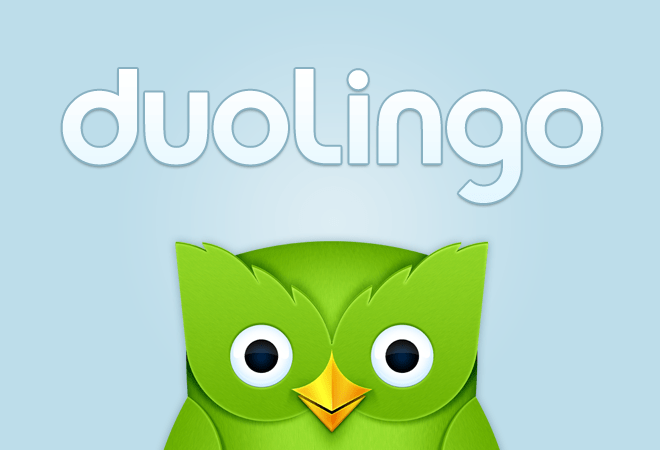 We created Duolingo so that everyone could have a chance. Free language education – no hidden fees, no premium content, just free. For native English speakers, there are 18 courses finished and 9 more in either beta testing or development (hilariously including one in Klingon hahaha – long live the Trekkies!) 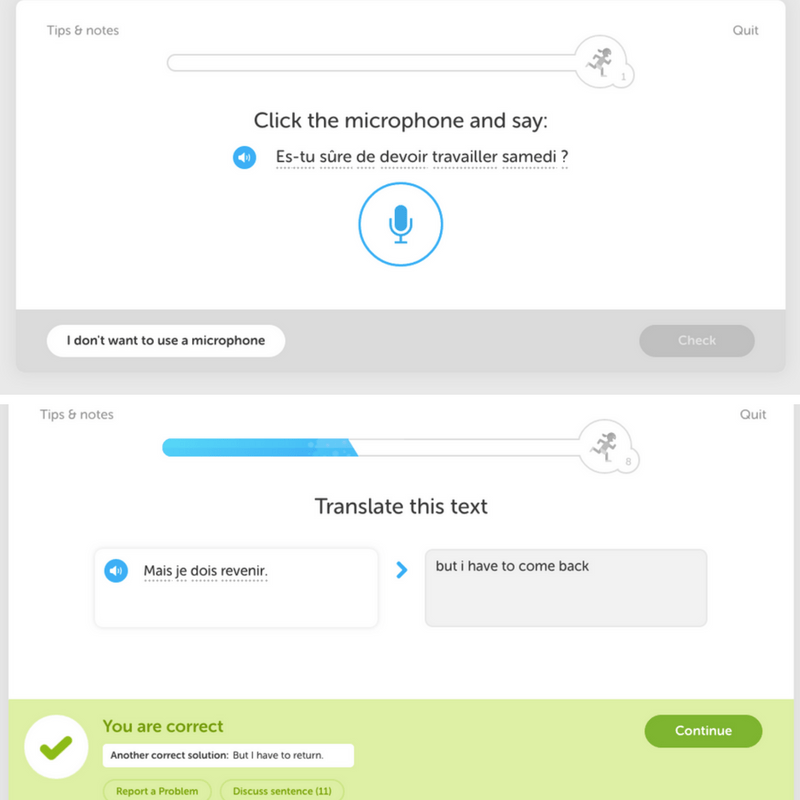 There are more modules for people who have other first-languages as well. You can work on just one language or as many as your heart desires at a time and it is all 100% FREE. 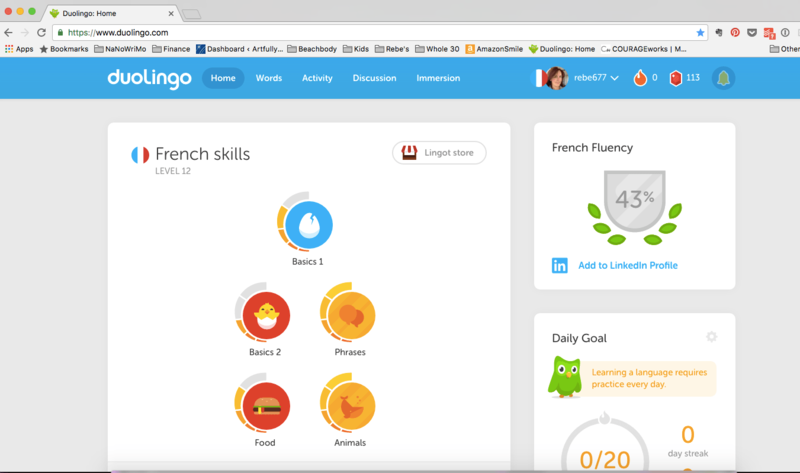 Set a goal for how many lessons you want to do a day and Duolingo will keep track of your progress towards your goal. Each language course is comprised of a number of topics with multiple lessons per topic. Each lesson only takes about 5-10 minutes and uses a variety of methods for teaching to ensure maximum comprehension of the language. 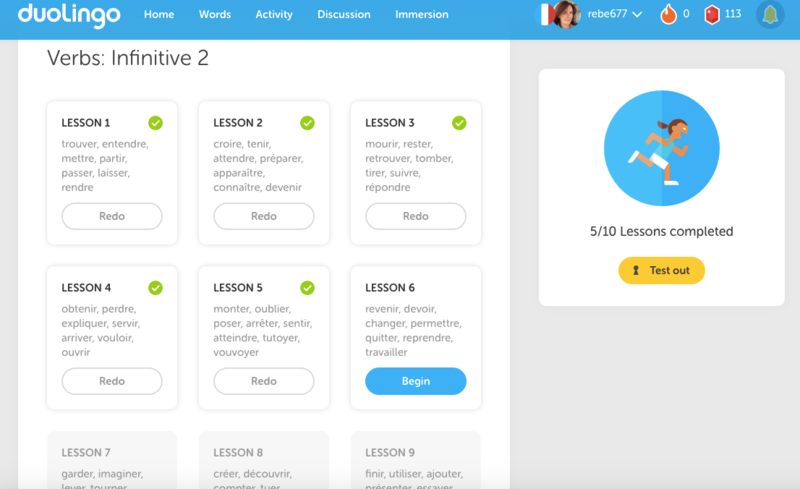 You will listen to and repeat sentences, translate from both English and French to the other, do some matching and answer multiple choice questions. 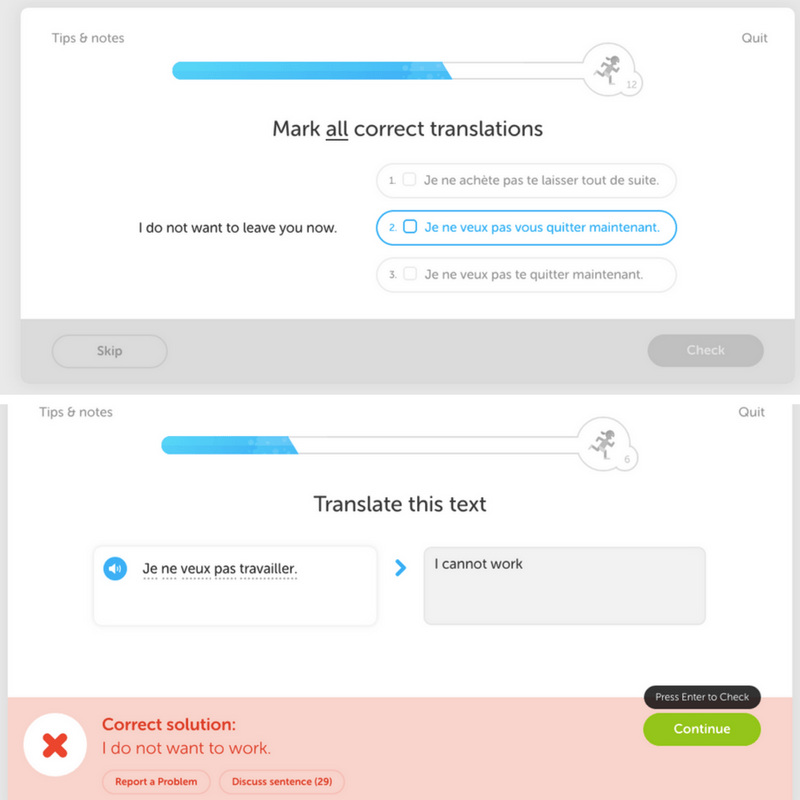 If you don’t understand the answer, there’s an option to discuss each sentence and get feedback from the awesome community of Duolingo users, including native speakers of the language you’re studying. Overall, I’ve been so impressed with the program and try to do 2 lessons a day – one a review of skills I’ve already learned and one to advance my knowledge. It’s a fun and quick way to keep my brain nimble and ready to jet off to Paris at a moment’s notice! Do you use Duolingo? If so, drop me a note with your user name and let’s connect!